Volker Waller took in charge on February 25, 2019 the responsibility for the operational management of Framo Morat GmbH & Co. KG as the new COO. Waller’s main task will be the management of the Production, Purchasing, Production Process Management, Industrial Engineering, QM/QA and Maintenance departments. Born in Swabia, he joined Framo Morat in 2012 as a Purchasing Manager. In 2013, he took in charge the overall management of the Strategic Purchases of the internationally present Franz Morat Group. Since 2018, Waller was already Works Manager of Framo Morat for the near-production areas of metalworking. 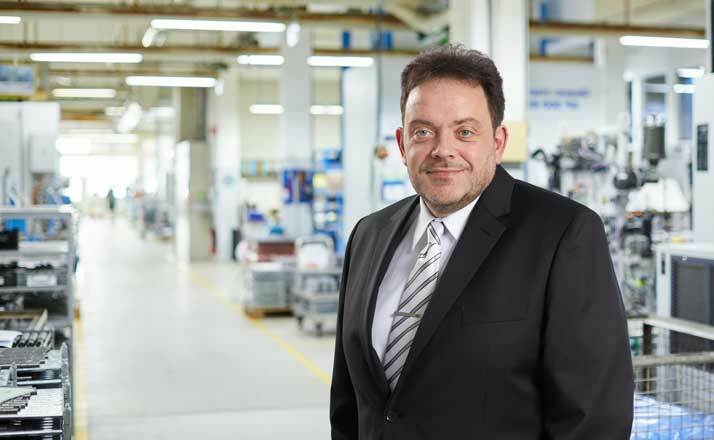 Before working at Framo Morat, Volker Waller managed for eight years the Purchasing and Materials Management areas in a medium-sized drive technology company. Waller started his professional career as a purchaser in an international technology group based in Franconia. He worked there for 17 years in various positions and divisions. His last position was that of a Purchasing Coordinator for the precision engineering. With a view to the future challenges, Waller will mainly focus on the technical evolution of the core competencies and on the development of the digitization in production. “We consider Industry 4.0 as a global project that is to provide benefits mainly to our customers. Our goal is to continuously increase process safety, transparency and throughput speed from the order intake to the delivery”, says Waller. “With Volker Waller, our Management gained an experienced branch expert, whom I appreciable both professionally and personally. I am looking forward to our future collaboration and I wish him much success in his new mission”, declares Gökhan Balkis, General Manager of the Franz Morat Group.